Widespread Panic added 5 shows to their 2013 Summer Tour, with stops at the famed Tennessee Theatre in Knoxville, TN, their first trip to Wolf Trap in Vienna, VA and a return to the Downtown Red Hat Amphitheatre in Raleigh, NC. They also marked their calendars with 6/1 at Wakarusa, and 6/7 at Hunter Mountain. 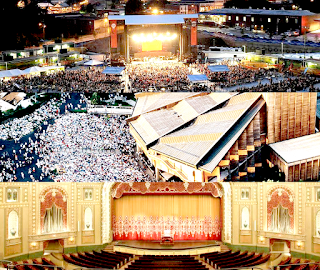 Take a quick look at the Summer Tour Venue Preview for venue information and show details, and stay tuned for more dates in the coming weeks!